Organic extra virgin coconut oil is my favorite! Great video will give this a try love doing home spa. Thanks Annie. Love the fact that you become more and more on the green side! As I am very into organic products so I'm really happy to have advices from you and look forward discovering new organics products! This Video is so great! Never seen a Video in this Topic in the Youtube world! You,re doing a great job!! By the Way, you look so so Amazing On the picture at the bottom, so sunkissed and just flawless! lovely video! I cant wait to try this massage! i need it...university can be stressful lol love you Annie! Very helpful video, thank you a lot!!! Definetly, i have to try this)))) p.s I love your makeup in this video, sooo natural or you don't have makeup in this video? ;) if you have, can you do a natural makeup tutorial? Thank you so much for being so inspirational and motivational!!! if you move your finger from front to back, 1st step in massage, doesn't it means that you pull your hair ? i have hair fall problem, is it will make my hair fall more ? Great video! I'm definitely going to try this out. Wonderful beauty tips! 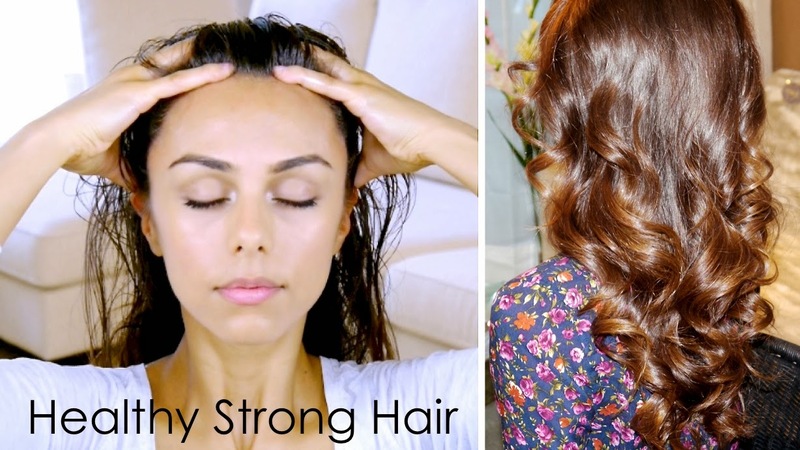 Thank you for sharing how to keep our scalp and hair pretty! This is great! I'm totally using this! Great tips, i LOVE coconut oil! Great tips! I've added coconut oil to my grocery list! I love oil hair treatments! Coconut oil is great for your hair. I use coconut oil too, its the best ! Love this video! I will definitely find the time to try this. I've told you this before but I'd really like it if you took my requests into consideration! Hi can I know from where did you get the coconut oil in Dubai? I love massaging the scalp! Love the video. Though a note on the coconut oil - there really isn't such a thing as "extra virgin coconut oil". Extra Virgin is really a term for olive oil. There's an entire article here: www.tropicaltraditions.com/what_is_virgin_coconut_oil.htm (scroll down to "Defining Virgin Coconut Oil") about the different definitions from the company who actually started the coconut oil craze in the US. This looks great, but was wondering if it made the scalp feel really oily? This is Amazing. I agree with regular massage to the scalp. It really helps with the head ache.